Want information about Youth Programs? What do you want to do this weekend? Don't say "I don't know" come to the coast! We are having perfect warm days in the 70s with a bit of breeze. Perfect sailing weather.
. Bring your favorite summertime dish to share. The Farr will be there as well as all the usual activities. Adult Sailing Lessons are in full swing. If you have a group of 4 we'll arrange lessons whenever you like or you can join our Open Groups on Wed, Fri or Sat. ASA 101 grad looking for some time on the water? We have a 101 refresher class Sunday, June 29 from 2:45-5:45. Come sail with other students and get your sea legs back with an instructor on board. Check out our deal of the month. Every month we are offering loyal customers a special just for you. Mention the newsletter when you book to get the special offer. School's out for the summer! Registration is open for the Youth Summer Day Camp (starts June 9). We still have room in each of our sessions. We hope to see you soon! Please like us on Facebook for updates between newsletters and feel free to share this newsletter. The breeze is picking up making for some fine late spring sailing. Join us for our annual start of summer themed BBQ. Still only $35 per person (family/child discount available) from noon until sunset. This is an informal and family friendly day. It is a great chance to meet other sailors and get back on the water! To make reservations, please call us at 310-937-3180 or email us. Lessons are a great way to have time on the water. We offer adult group classes on Wednesdays and Fridays after work and on weekends. Privates are available any day. Sunday, June 29, 2:45-5:45pm. Come back on the water to refresh your skills. Great excuse to get out sailing. Only $100. Please call us at 310-937-318310-937-3180 or email us to register for any adult lessons. Come sail with us any Tuesday in June and purchase a one hour charter and get the second hour free. Mention the newsletter deal when you call to make reservations. We sail from 10 am to sunset every day. $135 for 2 hours. Our Youth Sailing programs give students the chance to develop their sailing skills while they gain confidence and learn to work in a group setting. 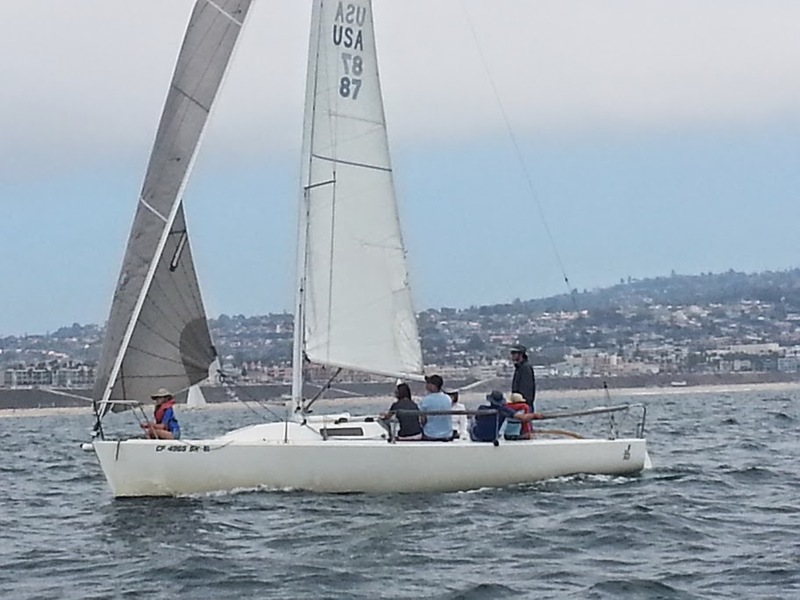 Students practice small and keelboat sailing on a Sabot, Topper 16 and J80 through a combination of on-land and on-the-water instruction. 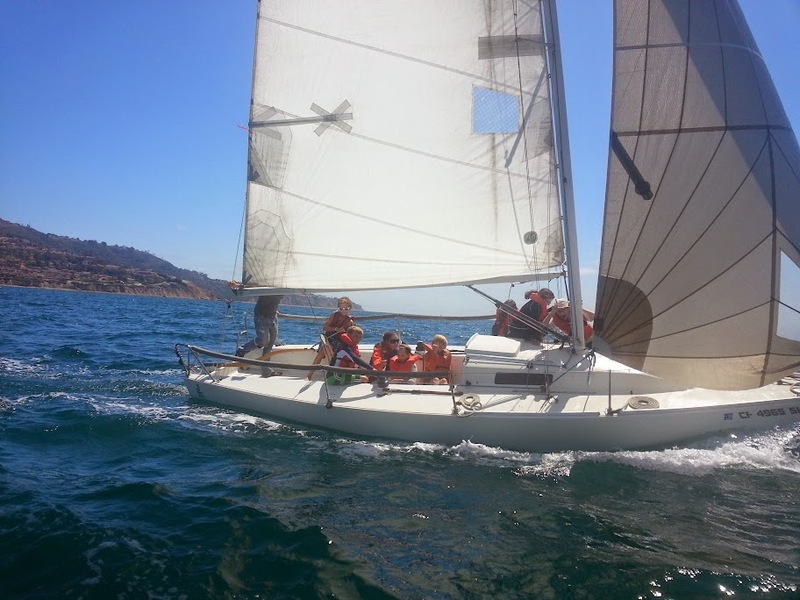 Students learn all aspects of sailing the boat, including rigging, crewing and driving, giving them confidence on the water while they have fun spotting sea lions, dolphins and riding the waves. Saturday Sailors is on for Summer. You can still sail with us even if your weekdays are full. Lessons run in 4 week sessions starting on the first Saturday of the month from 1:30-4:30 PM. $175/month. Next start date: Saturday, June 7. To register your child, please call us at 310-937-3180310-937-3180 or email us.